Here at Aloha, we also offer private surf coaching sessions. These sessions are tailored specifically to your needs and can cater for all levels of surfing ability. 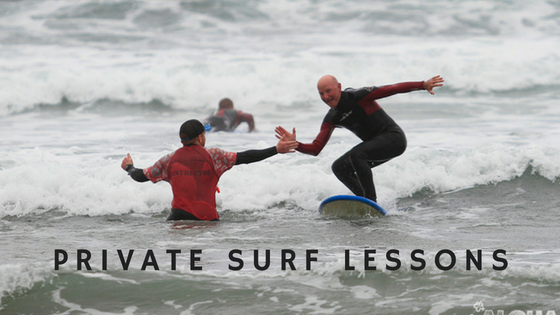 These sessions are particularly suited for Beginner and Improver surfers keen to fast track their surfing skills, or those who feel more comfortable learning to surf for the first time on their own. Intermediate and slightly more advanced surfers can also benefit from 1:1 coaching, allowing your Surf Coach the freedom and time to work with you on specific areas of your surfing. Exactly what we teach you will depend on what you hope to get out of the lesson and whether or not you want to work on specific areas. 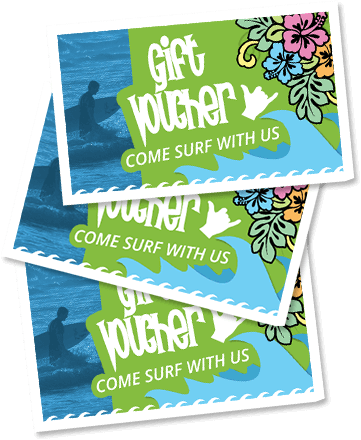 To get an exact idea of your ability we get you to fill out short form beforehand on your level of surfing and goals. We then get you in the water for a quick surf where we can analyse your level of surfing and what your strengths and weaknesses may be. A Private session costs €90 during off-peak season and €120 during peak season. A two person Private lesson is €60 pp during off-peak and €75 pp during peak season.